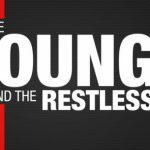 “The Young and the Restless” (YR) recap for Thursday, April 11, 2019 reveals that outside the Jabot mansion, Summer Newman (Hunter King) has second thoughts about going to the spa with Phyllis Summers (Gina Tognoni). Inside, Jack Abbott (Peter Bergman) tells Traci Abbott (Beth Maitland) that he discovered a bug in the basket Ashley Abbott (Eileen Davidson) sent. Traci reminds Jack that both John and Dina Mergeron (Marla Adams) wanted Ashley to have the patents to Jabot products, and asks him to do the right thing. Summer heads in and asks Jack where Kyle Abbott (Michael Mealor) is. Since he hasn’t seen him, she tells Jack she’s accepted his job offer. At the Athletic Club, Kyle Abbott can’t believe what Lola Rosales (Sasha Calle) is propositioning him with. In Las Vegas, Y&R’s Victoria Newman (Amelia Heinle) and Billy Abbott (Jason Thompson) share a kiss in her hotel suite. Victoria Newman receives a text from Victor Newman (Eric Braeden) that he’s in New Zealand closing a business deal. Victoria thinks her dad is lying and is in Vegas, hanging out at high-stakes poker games. Just then, Brandon Rose (Mitch Eakins) sends Victoria a text that he spotted Victor at the bar. Later, Victoria arrives home with Billy to a welcoming Katie and Johnny, who kiss Victoria before heading to bed. Billy makes a phone call to someone, and says “I need to see you.” Victoria comes back into the room, and Billy says he’ll come back into the morning as he’s exhausted. Victoria appreciates that he came to see her in Vegas, and she feels close to him. No more high-stakes poker games, and no more chasing Victor Newman. She and Billy share a kiss before he heads off. Shirtless Y&R’s Nick Newman (Joshua Morrow) is alone and bored doing push-ups and playing darts. Nick heads to his office and calls Hong Kong for business. Summer Newman shows up at the club and asked an employee if he’s seen, Kyle. Since he hasn’t, she leaves him a message. Phyllis calls the private investigator at the club who provides an update on Kyle and Lola Rosales from a table nearby where he’s been taking photos of the pair. Lola says what she’s suggesting doesn’t feel wrong, and Kyle says he wants it more than anything. But a lot has happened and he doesn’t know if he can make everything that’s happened up to Lola. They both head upstairs to a suite at the Athletic Club. Kyle tries to calm Lola’s nerves, saying they’ll take it slow. Lola’s phone suddenly rings, interrupting their kisses. Lola says how much she’s missed Kyle, and that she loves him. Kyle says it’s always been, Lola. They continue to kiss passionately until his phone buzzes; it’s Summer. “I can’t do this,” Kyle says. Kyle apologizes to Lola as they get dressed. Lola feels terrible that she asked him to cheat on Summer, and Kyle doesn’t want Lola to have regrets later. Lola feels bad about backstabbing Summer. Kyle wants to tell Summer about what happened. After he’s set things straight with Summer, he can be with Lola permanently, even it will take some time. Kyle reads his text from Summer and that she didn’t go out of town. The sooner he speaks to Summer, the better. Kyle reveals to Lola that he is “desperately in love” with her. Meanwhile, Phyllis arrives and the PI shows Phyllis the photos he snapped of Kyle and Lola. Phyllis heads upstairs to the suites to find Kyle and Lola but then walks away. Y&R’s Billy arrives at the Abbott mansion and tells Jack about how he went to Vegas to see Victoria, but the sights and sounds brought him back to his gambling days. Victoria saved him from himself and they have an opportunity for a fresh start and is afraid to screw it up. Billy then leaves and heads to an addiction meeting and Kyle arrives home looking for Summer, telling Jack he’s struggling with a few things. He leaves the room and Jack places the bug out in the open. He calls Traci in and Jack says he’s taken what she said to heart. He’s made a decision about what he’ll do next and will take Ashley Abbott up on her offer to merge both companies. It’s time to cut their losses. Ashley calls Jack and assumes he’s found the bug. Jack offers to wire her $2 million of his own funds and give up My Beauty Collective. Ashley negotiates on $4 million. Jack smirks, happy that he’s managed to get his way. Y&R’s Phyllis Summers walks into Crimson Lights, and while on the phone, says that Fenmore’s will be free of Jabot in less than 24 hours. She seems puzzled to see Lola Rosales outside. Summer arrives at the Abbott mansion and greets Kyle, telling him the news that she took the job. She asks where Kyle was all night. Kyle states that they need to talk. And that’s a wrap. Don’t forget to check often with Soap Opera Spy for all your soap needs!